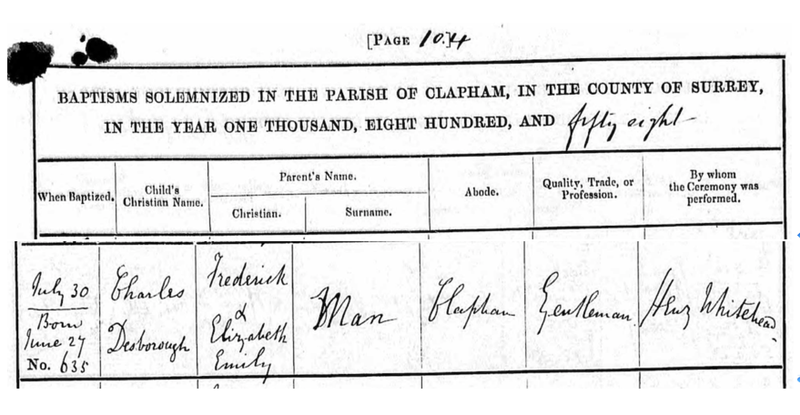 Charles Desborough Man was born on 27 June 1858 at 5 Cavendish Terrace, Clapham, Surrey, the son of Frederick and Elizabeth (Dumas) Man and was baptized on 30 July 1858 at Holy Trinity, Clapham, Surrey. He married Dorothy Gee on 29 September 1915. Charles died on 26 April 1931 in Pembury, Tunbridge Wells, Kent. 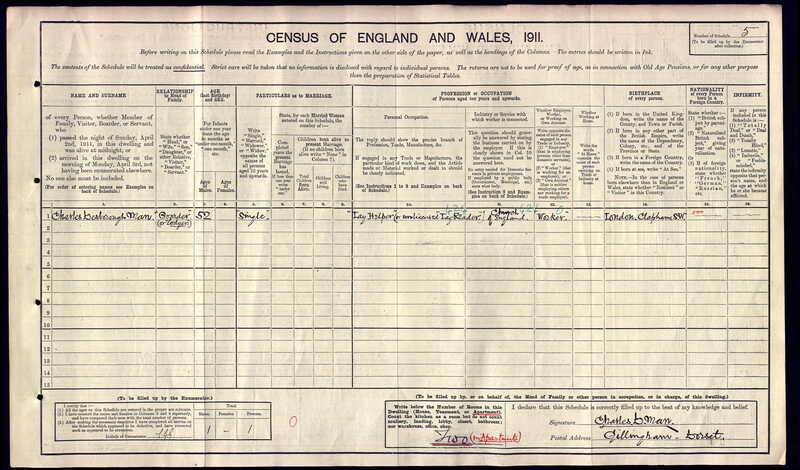 Dorothy Gee was born in 1885 and died 28 February 1934, also at Pembury. Charles and Dorothy belong to Generation Six. There was no issue. 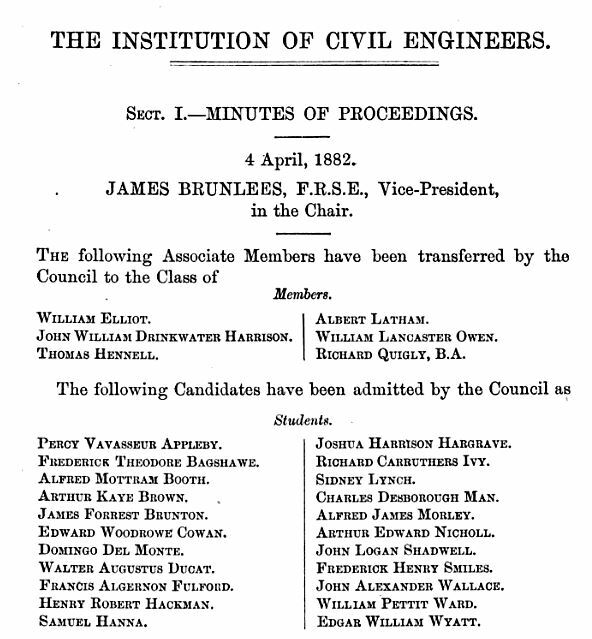 However at some point after 1884 Charles began a theological career. 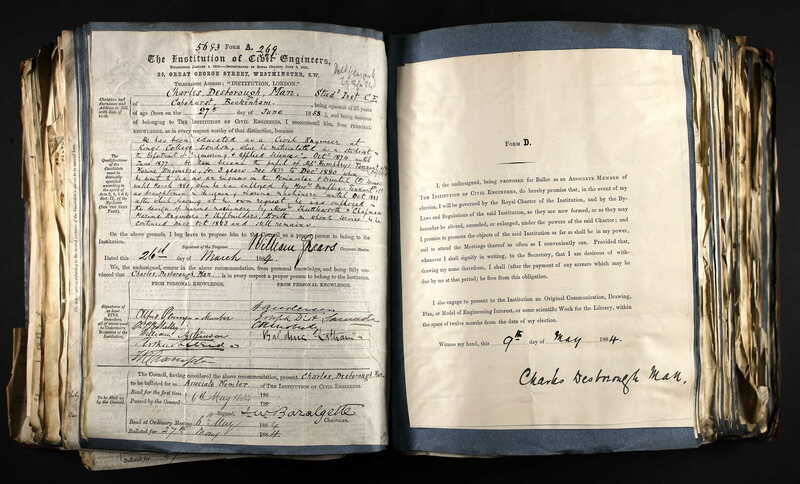 He appears on the 1901 census as well as the 1911 census and gives his occupation on both as a ‘lay reader’ , ‘lay helper’, ‘Unlicensed lay reader of the Church of England’. His postal address on both is Gilingham in Dorset. Below the probate records for Charles and Dorothy.